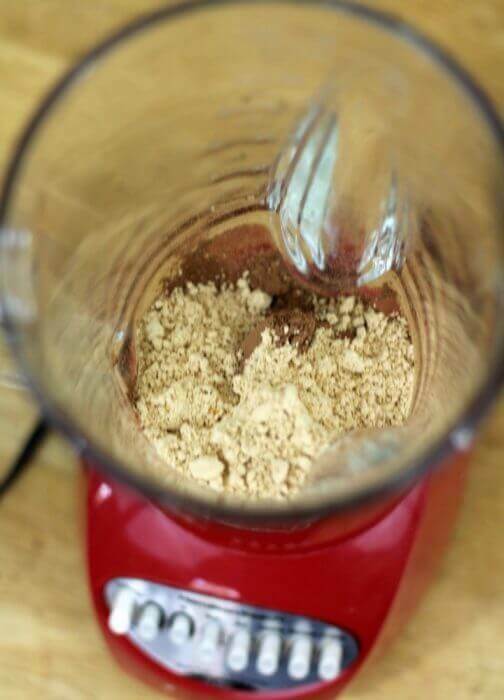 I am sharing my recipe for Chocolate Peanut Butter Powder Pudding and tips for making sure I drink enough water everyday to fulfill my New Year’s Resolution to be a better me! In the second week of January, it is time to check in and see how are we doing with our New Year’s Resolutions. This year I resolved to be a better me. I know that is kind of a cop out but let me explain. I want to eat better. I want to be happier. I want to take better care of myself so that I am better able to care for those I love. To get started on a the new me, I am trying to eat more super foods that pack a punch of either protein or vitamins and nutrients without adding extra fat and calories to my diet. Peanut powder and chia seeds are two of those foods that I am trying to incorporate more of into my diet. So I asked myself: what can I make with chia seeds and and peanut powder? I came up with this chocolate pudding that can be eaten for breakfast with some fresh fruits or as a dessert. 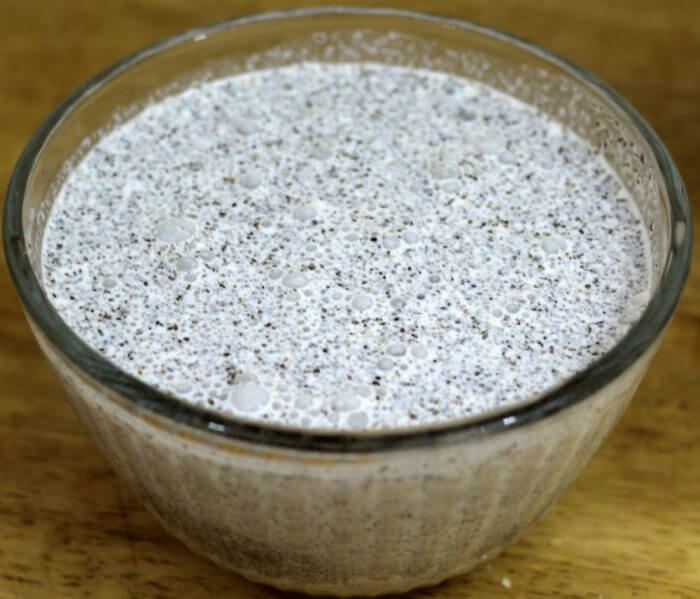 Stir together the chia seeds and milk in a bowl. Chill overnight. Add together the peanut powder, cocoa powder, and vanilla. 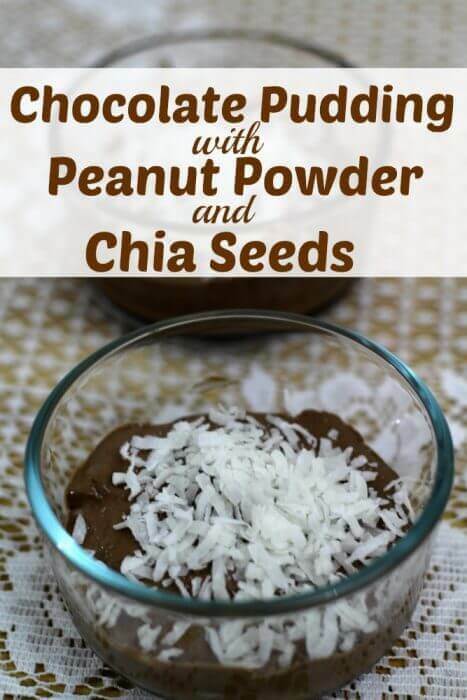 Combine the milk and chia seeds with the peanut powder cocoa mixture in a blender. Turn on and work up to high and blend until fully smooth. Add more milk if desired to thin out. Portion into serving bowls and chill for an hour. Makes 6 servings of about 1/2 cup each. Optional: Top with shaved chocolate, fresh fruit, or coconut flakes. 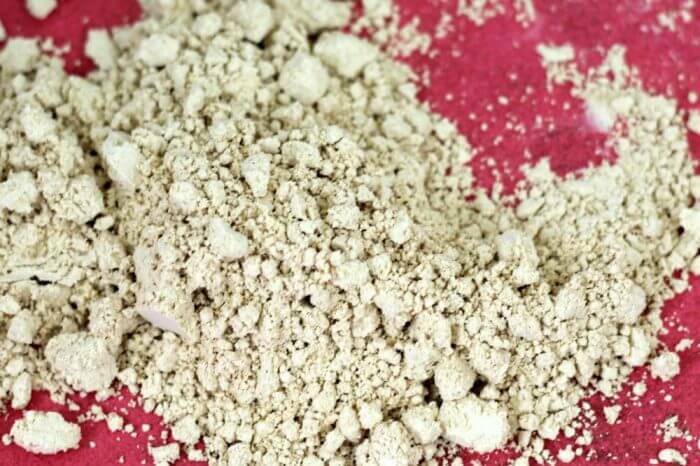 Where can I buy powdered peanut butter? 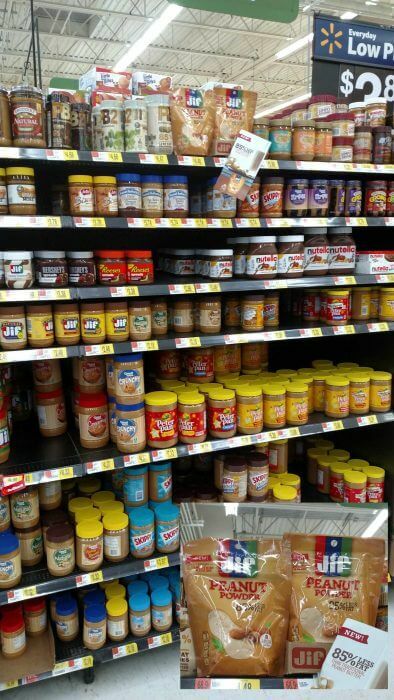 Jif™ Peanut Powder is easy to find at Walmart. You can find it in the peanut butter aisle. 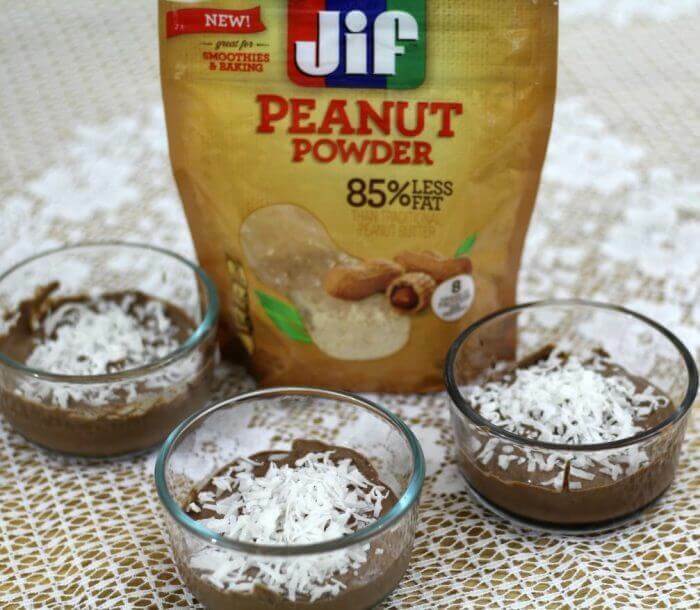 Jif™ Peanut Powder has the same amount of protein as traditional peanut butter, but with 85% less fat making it a great addition to pudding, smoothies, muffins, oatmeal, and many other recipes. Jif™ Peanut Powder is made from just one ingredient – fresh roasted peanuts – and has no added sugar or salt like other competitors! 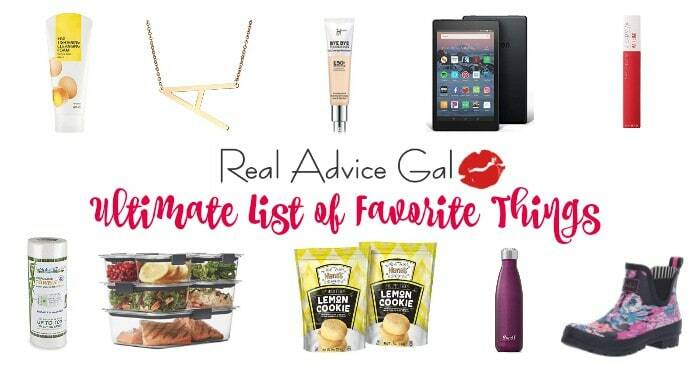 Let’s talk about another one of my resolutions. I want to be a better me and one of the things I am trying to do this year is to drink more water. So we have all heard that we should drink more water, at least 8 8oz glasses of water every day. While this recommendation no longer holds water (pun intended) it is still a good rule of thumb because it is easy to remember. The actual amount each individual should drink depends on a lot of facters such as weight, activity level, and typical climate where you live. Do you drink enough every day? I know I don’t. So as part of my resolution to be a better me I have a solution to remind me to drink water and to keep track of how much I have had in a day. 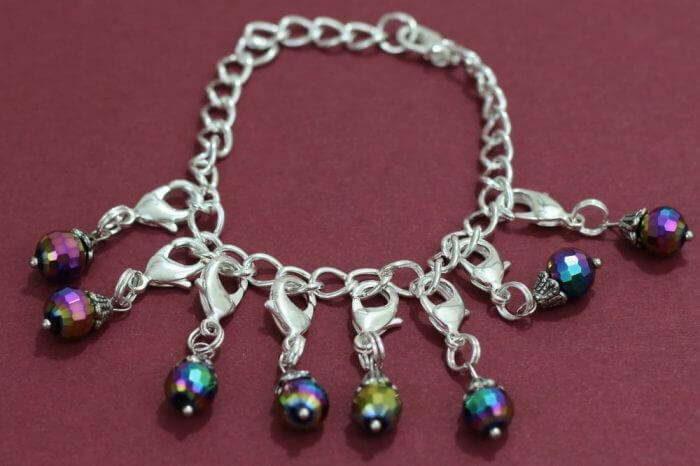 I made this bracelet with 8 clip on charms, one for each glass of water I supposed to drink every day. 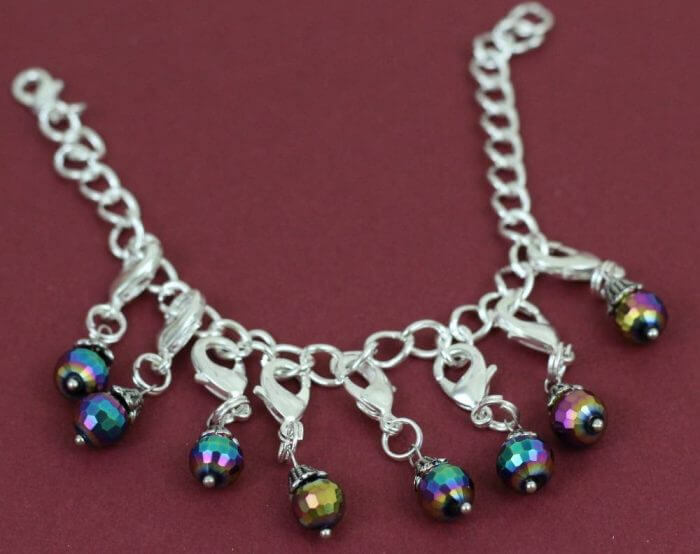 I put the bracelet with all eight charms on my left wrist and then whenever I finish a glass of water I move the charm to the bracelet on my right wrist. Simple, easy, and it is pretty too! Step 1: Gather all of your supplies. Step 2: Thread the charms and the lobster clips onto the split rings. This is very similar to putting a key on a key ring. 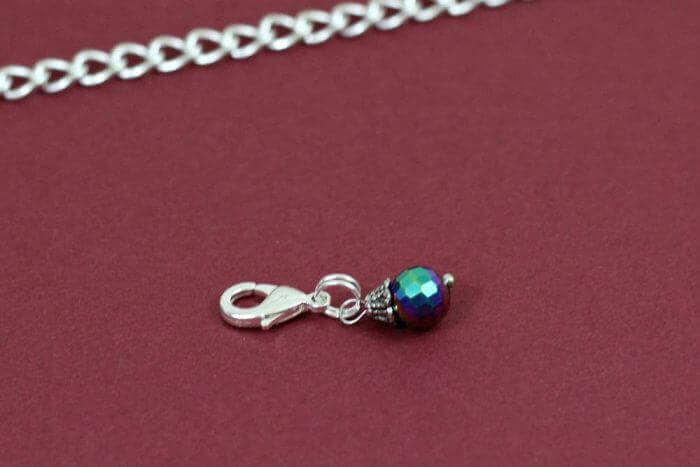 Insert the loops on the charm and lobster clip into the split ring and twist until they go all the war around the ring twice, just like your keys on your key chain. Step 3: Put all of the charms on one of the bracelets using the lobster clips. Step 5: Wear the bracelet full of charms on your left wrist. 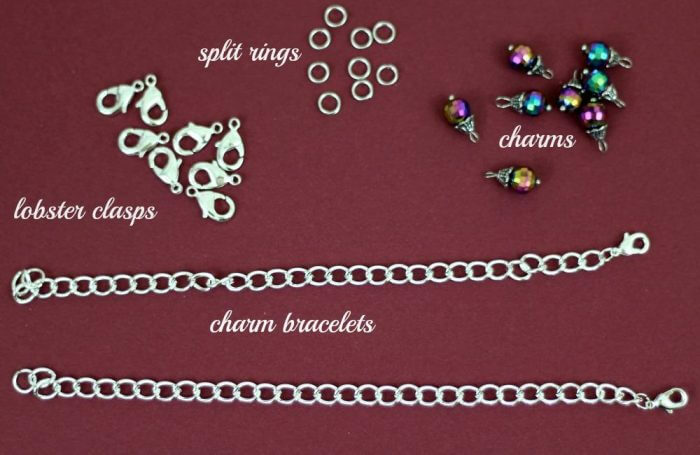 Wear the empty charm bracelet on your right wrist. Every time you finish a glass of water move a charm from your left wrist to your right wrist. The dangling charms will remind you all day long to drink more water. At the end of the day you will know how many glasses of water you consumed. How are you doing with your New Year’s Resolutions? Are you staying on track. 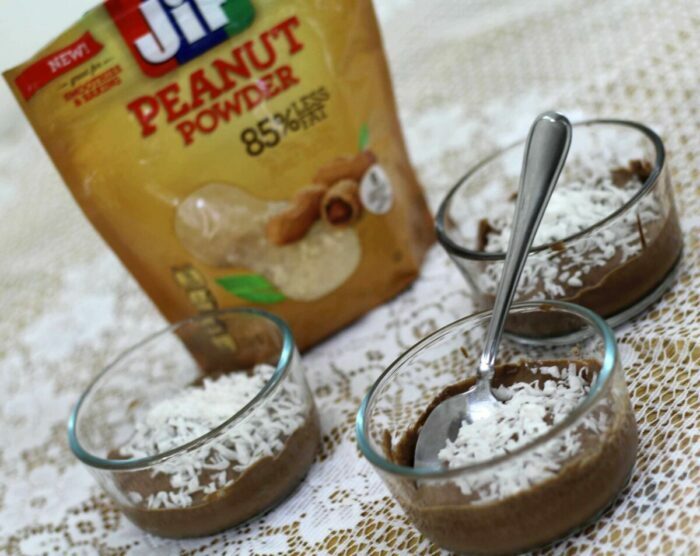 For more recipes visit the Jif Peanut Powder Site. Don’t forget you can get Jif Peanut Powder at Walmart. Let us know what recipes you are going to try in the comments below. Share your resolution tips to help us all stay on track.